A beautiful Feather Peacock on a Clip decoration. Part of the popular Peacock range of Christmas decorations. 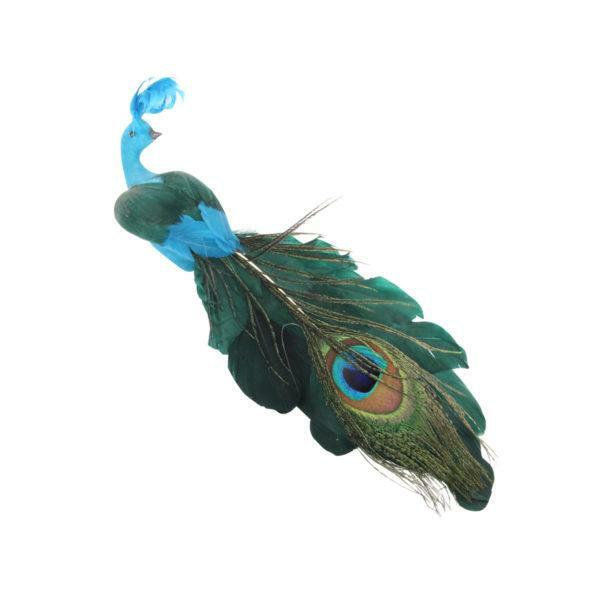 This lovely peacock will look great clipped onto your christmas tree. Polystyrene body covered in flock with black beak and black bead eyes, real feather wings and long real peacock eye feather tail.